Summer is prime time for skin problems. While some skin irritations can’t be avoided, many can be. Keep your summer bump, rash, and itch free by using these tips to prevent unwanted skin problems. Clogged pores can happen when sweat mixes with bacteria and oils on the skin. Depending on your skin type, this may mean you experience increased breakouts in the summer months. According to the American Academy of Dermatology (AAD), acne is the most common skin irritation in the United States. For prevention, it’s important to wash your face at least twice a day, especially after exercising or spending time outdoors in the sun. Remember that acne takes time to clear and there aren’t any quick fixes. After your skin is acne-free, continue care to prevent new breakouts. Your skin becomes dry when it loses too much oil or water, both of which can be caused by humid air, hot days, air-conditioned rooms, and chlorinated pools. 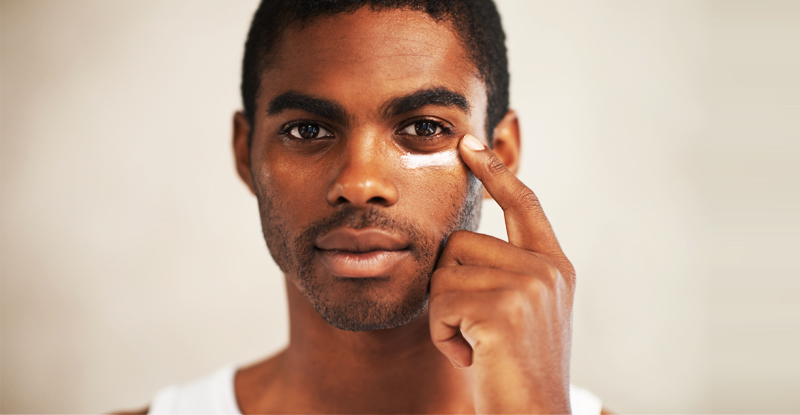 The AAD recommends using a moisturizer frequently. Consider regular activities that may lead to the loss of oil or water, and stop them a few days to see if the irritation clears. Hiking and camping are great summertime activities. Increased outdoor activity may lead to an accidental brush with poisonous plants. Rashes known as contact dermatitis can be caused by an oil found in these plants, to which about 85 percent of all people are allergic. Signs of contact include raised red patches with blisters, swelling, and itching that may not appear for 12 to 72 hours. The best way to prevent contact dermatitis is to keep aware of your surroundings, particularly when camping and hiking. The best method of prevention is covering all exposed areas to avoid accidental contact. If you do encounter a poisonous plant, the first line of defense is to wash the area right away with soap and water to remove the oils. Relieve irritation with cold compresses, topical corticosteroids, calamine lotion, or an antihistamine. When your sweat glands are blocked, you can end up with a rash and tiny itchy bumps. Heat rash usually goes away in a few days on its own, but you want to see your doctor if it persists or worsens or if you have signs of infection. The best line of prevention is to wear light and loose-fitting clothing when outdoors in the heat. Also, exercise during the coolest time of day and cool the skin using fans or air conditioning. Getting a sunburn can put a damper on summer plans and in some cases lead to pain and blistering. Within a few a few hours after excessive sun exposure, a sunburn may form and take a few weeks to fade. When exposed to sunlight (even on cloudy days), generously apply a broad spectrum water-resistant sunscreen of 30 SPF. Reapply sunscreen every two hours and after sweating or swimming. Also, wear protective clothing and seek shade when possible. Bug bites can be annoying, but more seriously, they can also lead to health issues such as Zika, dengue, Lyme disease, or West Nile virus. The Centers for Disease Control and Prevention recommends use of an EPA-registered insect repellent containing at least 20 percent DEET, the most common active ingredient in insect repellents; covering your exposed skin when outdoors; and avoiding travel accommodations where bugs can get inside. If traveling abroad or camping, also consider a mosquito net where recommended. While the name implies this fungal infection only impacts athletes, it can be caught by anyone who walks barefoot in moist or public places, such as a swimming pool deck or locker room. This fungal infection shows itself by causing cracked, peeling, or flaky skin, which may ooze or blister, on the soles of the foot and between the shoes. If you find yourself with a case of athlete’s foot, apply an antifungal cream as directed. See your doctor if it persists. Always wear shower shoes, flip flops, or sandals in public pools, gyms, or locker rooms, and keep your feet dry. You should also wash your feet daily with soap and then completely dry them. If someone in your house has athlete’s foot, do not share linens or towels.